Our church consists of two buildings directly across the street from each other on Center Rd: our meeting house and our offices in the Old Staples Academy. Nestled in the hills of Easton Connecticut, we’re centrally located in Fairfield County, with easy access to Monroe, Trumbull, Fairfield, Bridgeport, Redding, Bethel, and Newtown. Other nearby cities include Greenwich, Stamford, and Danbury. 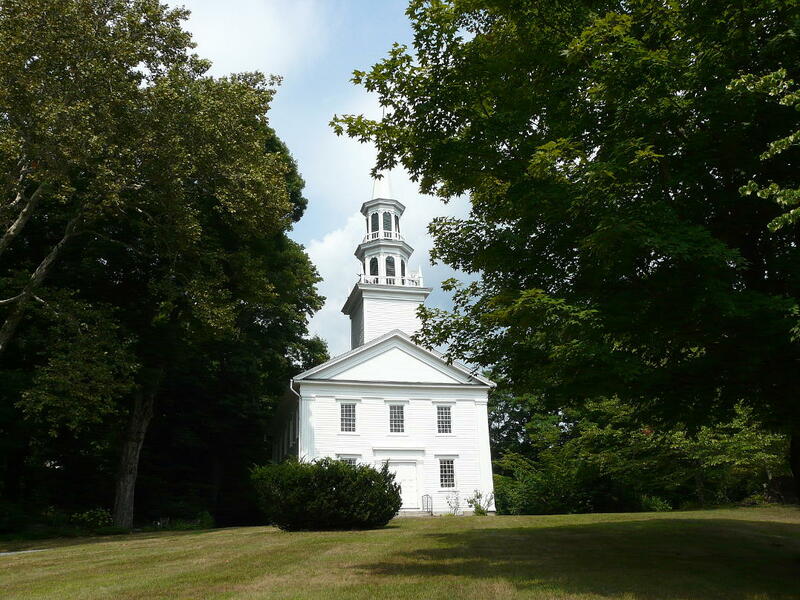 Our meeting house is a charming New England clapboard church. It was built in the 1830s and is based on an earlier church built on the same site in the 1760s. The church offers a beautiful space to hold worship services or to honor special occasions. If you’re interested in checking out a Sunday morning service, see our “First Time Visitors” page for some useful information. The sanctuary can accommodate 200 people in the pews. We also have loft space that houses an organ and can accommodate additional people who are willing to climb some stairs. 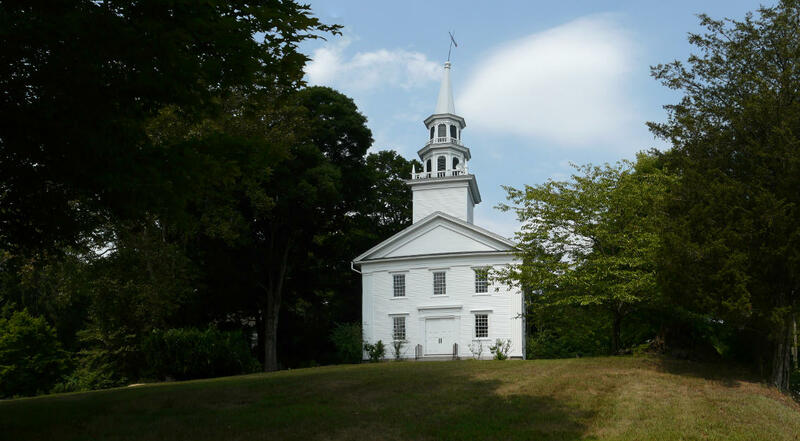 The meeting house can be used for Sunday morning worship services, weddings, funerals and memorial services, baptisms, and other important life functions. The Old Staples Academy Building is the other important building for our church. 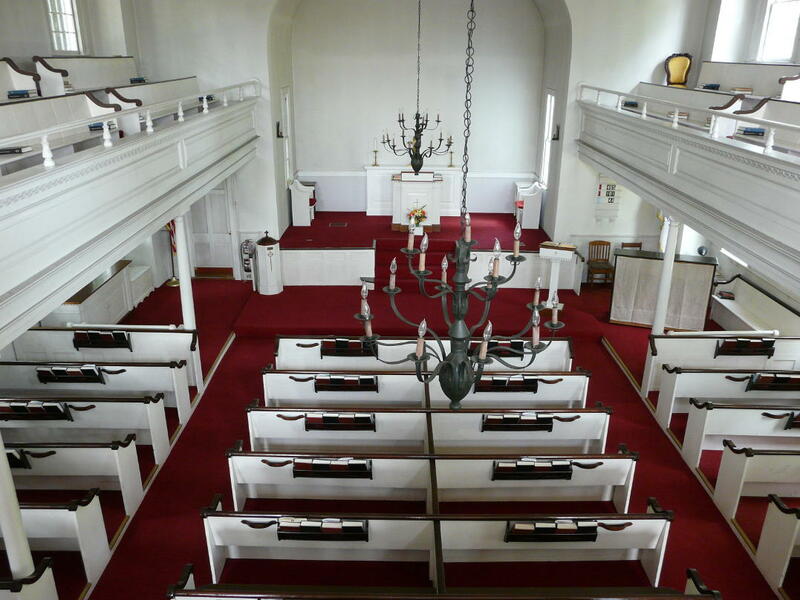 Some parts of the building were built in the 1790s, making it older than our current church building. The Old Staples Academy also features a newer addition that includes a church hall, fully functioning kitchen, and preschool classrooms. The church hall can accommodate 80 people seated at tables. The older section of the building houses our church offices, the Bishop Conference Room, and a space for Sunday School and Youth Group meetings. The Old Staples Academy Building is where much of our community life takes place. The church hall is used for fellowship gatherings, coffee hour, and other community events, while the Bishop Room is a useful place to hold committee meetings and Christian Education gatherings. The meeting hall would also make an ideal space to hold receptions for weddings performed in our church building. If you are interested in the use of our buildings or special services please use our “contact us” page to get in touch.